This week we’re chatting about building a float center that is in alignment with your lifestyle and budget. We’re also talking about why float centers are closing and what we need to be doing to thrive as business owners. We hope our open and honest discussion will inspire you to think about actions that you can take to help your center continue to grow. 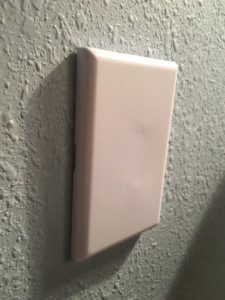 The Float Shoppe got new outlet covers to help with safety and keeping transition times low. Dylan also shares about working a shift in the shop, performing employee reviews and his appreciation for the Art of the Float listeners. Amy is a trooper for joining us this week despite being down with pneumonia. She shares her gratitude for the floating community, navigating budget challenges, opening the kombucha taproom to help cover costs and issues with her new booking software. Post: Is a Flashy Float Tank Worth the Investment?